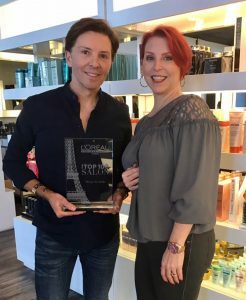 L’Oreal Professionnel has just named Therapy Hair Studio as one of the Top 100 Salons in America! This prestigious ranking is awarded to the most reputable salons across the country and recognizes excellence in both superior styling and client satisfaction. We are immensely proud of our talented team of stylists and, of course, our amazing clients! Thank you! Book your spring cleaning appointment! 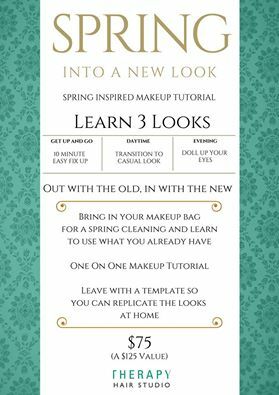 Bring in your makeup and we will work on some new and easy looks for 2016 Spring/Summer! 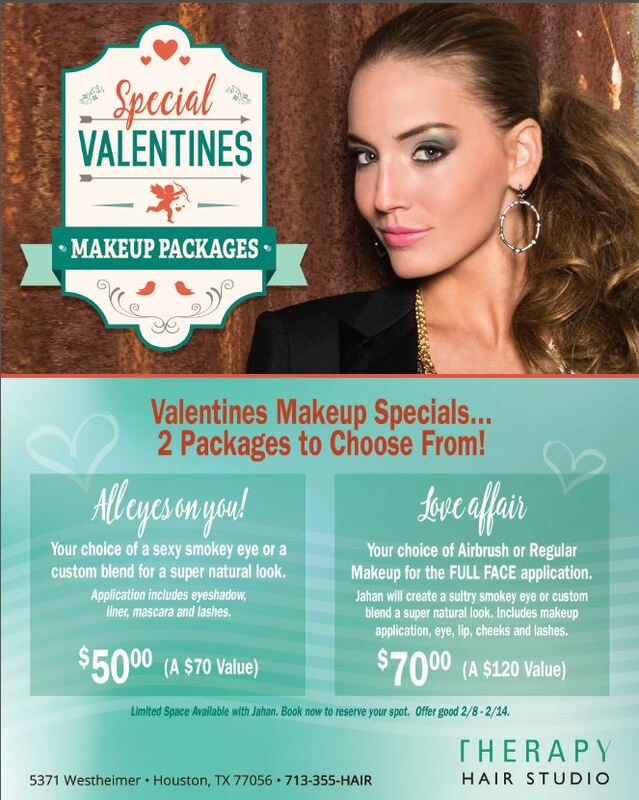 Valentines Makeup Specials Two Packages to Choose!